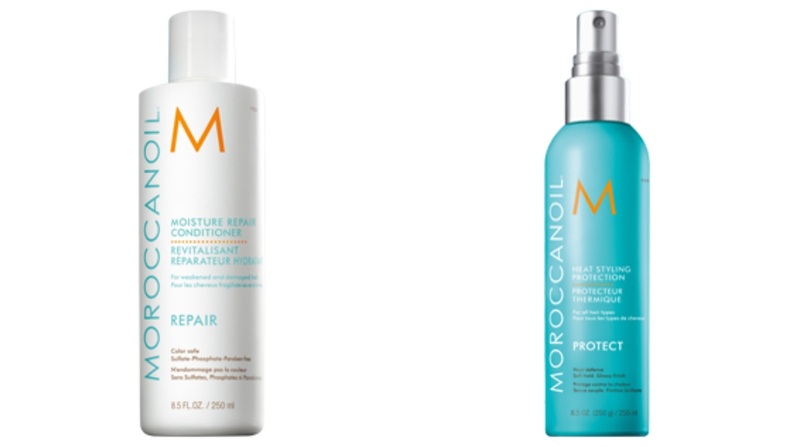 My first step was I used Moroccanoil® Moisture Repair Conditioner to add some much needed moisture to my dry locks. I skipped the shampoo today as with curly hair, you don't always need to shampoo your hair. This conditioner is a white cream texture that smells great, is color safe, Sulfate, phosphate and paraben-free and Kertain enriched. I definitely notice that my hair looks stronger and healthier and overall just looks more revived after using this conditioner. It has definitely been a must have in my hair arsenal lately. After my hair was conditioned and towel dried, I wanted to make sure to use a great heat styling product. The one I've been using most lately is Moroccanoil® Heat Styling Protection because it effectively prevents breakage and split ends. For me, a good heat protectant is a product worth investing in. 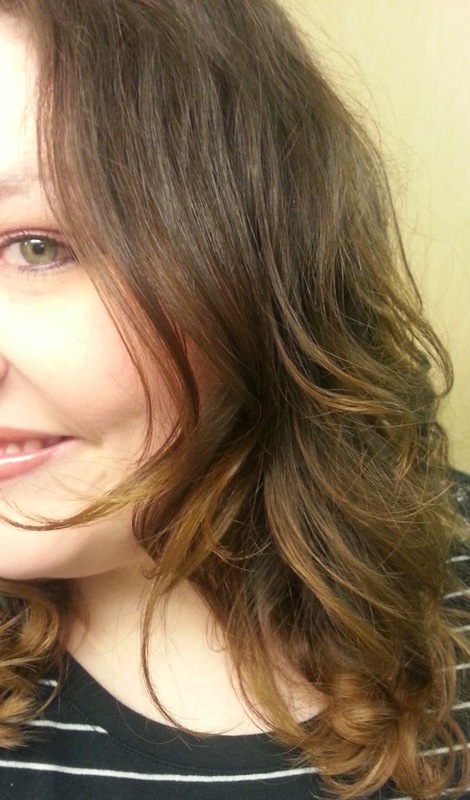 I had been heat styling my hair frequently and noticed split dry ends. Since I've switched to this product, I've definitely seen an improvement in the texture, look and feel of my hair and I can now use heat without fear of damage. My hair stylist always drys and curls my hair with just a blow dryer and round brush and it always looks amazing. I've been studying his technique and trying to replicate it at home, so I was thrilled to get to test out John Frieda's Large Porcupine Round Brush Volume Curls. This brush features nylon and boar bristles designed to distribute the scalp's natural oils for added shine and smoothness. It does take a little practice and getting use to to be able to maneuver a big brush and a blow dryer. However, once you are able to get use to it, you can create some nice loose waves. I take a strand of hair and brush through it with the brush, I then take that strand and wrap it around the brush completely. I start with the blow dryer more towards the root of my hair, working down to the strands on the brush. You can rotate the brush and rotate your hair with the brush. Repeat a second time if needed. As you're rotating the brush, slowly move it down so the heat reaches from top to bottom. 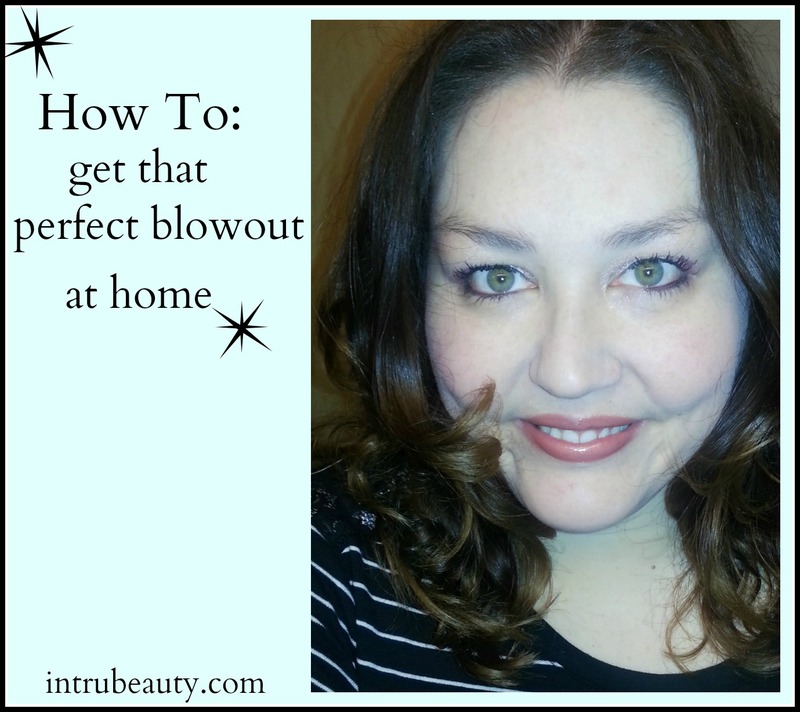 At the very end, I do turn the blow dryer away from the ends so they will lay nicely and won't get messy & blown away! 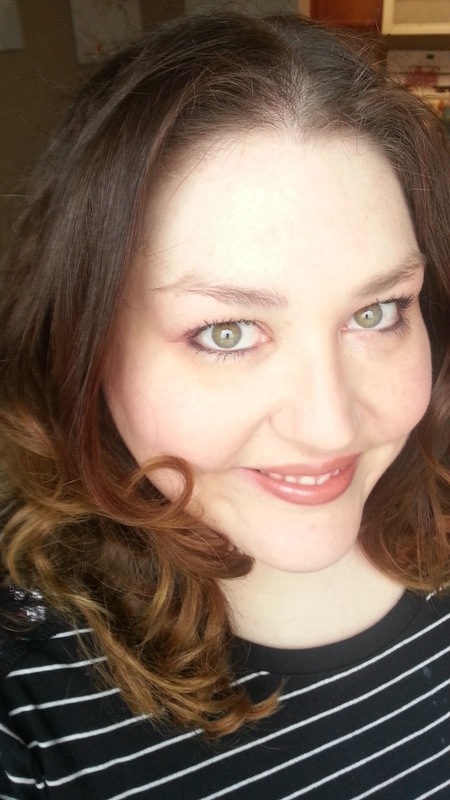 I really love the look I can achieve just by using John Frieda's Porcupine Round Brush, but sometimes I want to add even more volume and waves. I've been turning to Philip B Maui Wowie Volumizing spray which contains Sea Salt, Extracts of Algae, Orchid, Tahitian Gardenia, Aloe Vera & Oils of Kukui and Coconut. 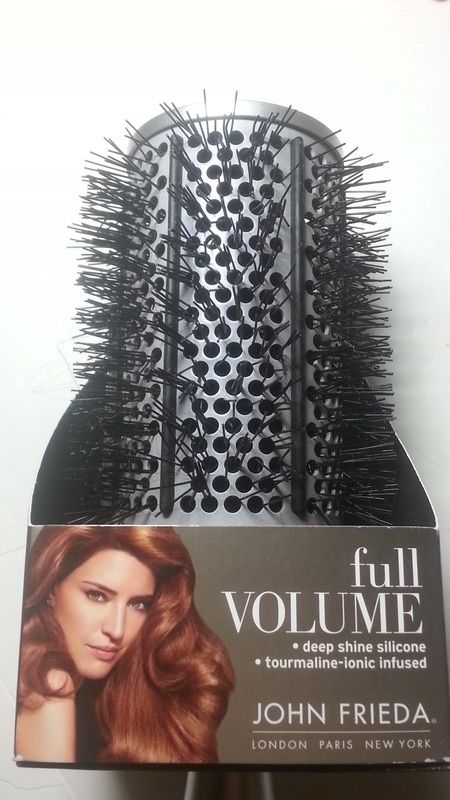 This is a super easy and quick way to add some texture, volume and waves to your hair. It's totally effortless, just spray it in, work through with your fingers and scrunch or shape certain sections. After styling, my hair also stayed look fresh and put together. 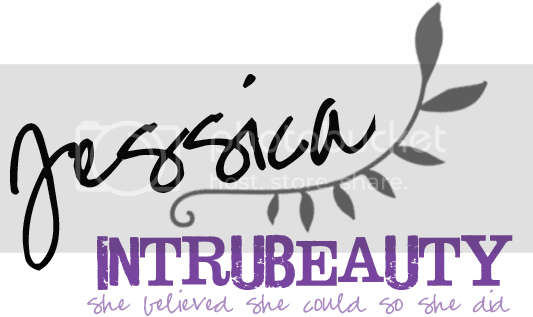 This is definitely a product I'm going to be reaching for more and more come spring and summer. I also like to finish off my look with some argan oil to smooth any fly aways and frizz. I've been using Hask Shine Oil, which I just reviewed this week. Click here for my information on Hask argan products. What is your favorite diy product, tool or trick? Comment and let me know!